Are you ready to learn how to infuse your curls with more moisture, shine, and strength with a simple modification to my super easy mud rinse recipe? Keep reading! 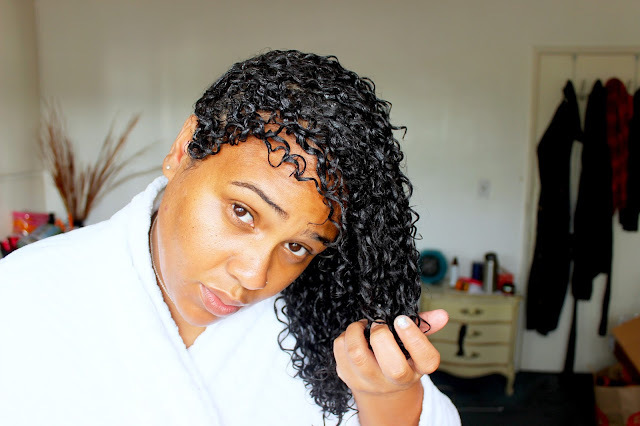 In 2015, I introduced my recipe for flawless curls via the DIY Mud Rinse. Several of you messaged, commented and e-mailed letting me know how much you love it (and I couldn't be happier). Wanna know something funny? Before this post, I hadn't mud rinsed in months. I don't know why I stopped. Seriously. All I know is that while putting together my 2015 style collage for tha 'gram, I came across some of the dopest wash and go styles I created. I thought to myself, what the heck is different in my routine? Well in the "new year, new me" spirit (lol) allow me to get brand new with my mud rinse. For those of you who may have forgotten, or don't feel like reading my other post, here's a little refresher on mud rinsing. Mud rinsing is an intermediate step between your cleansing and deep conditioning, where a water-based clay mixture is allowed to sit on the hair briefly prior to deep conditioning. It is most easily done in the shower, but can be done over the sink as well. Mud rinsing has been easier to do and easier on my strands than clay masks have been. Clay masks are thick, messy, and can sometimes difficult to work through my hair. But mud rinsing? Simple and fuss-free. It's moisturizing and fights frizz.Due to the water content and the oils, the mud rinse hydrates the hair while the oils soften, and the aloe and apple cider vinegar help lay the cuticles to improve shine and moisture retention while reducing frizz. Now, here's where things get exciting. I've remixed the recipe for 2016. I want to say it's because I've been in the lab, mixtressing and experimenting for the best ways to use bentonite clay. But truthfully, I stumbled upon this recipe remix because I have a big @$$ bottle of Blackstrap Molassess, and I need to use it up. I initially bought the blackstrap for some healthified recipe, but when that didn't pan out, I started looking for other ways to use molasses. 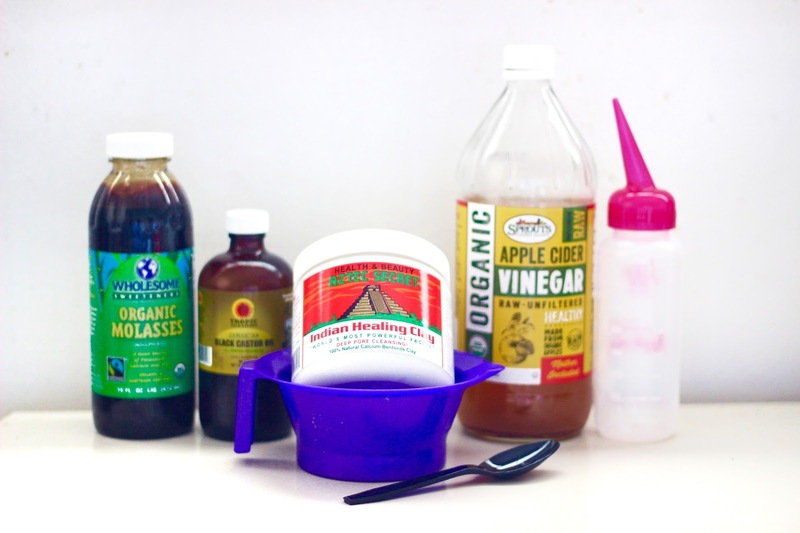 My first use I wrote about here: boosting your deep conditioning session with Blackstrap Molasses. Once I realized how much I loved deep conditioning with it, I started pontificating on other ways to make use of my health food investment. Refresher spray? Nope, Samuel wouldn't come within 50 feet of me if I did that. Leave-In booster? See idea #1. 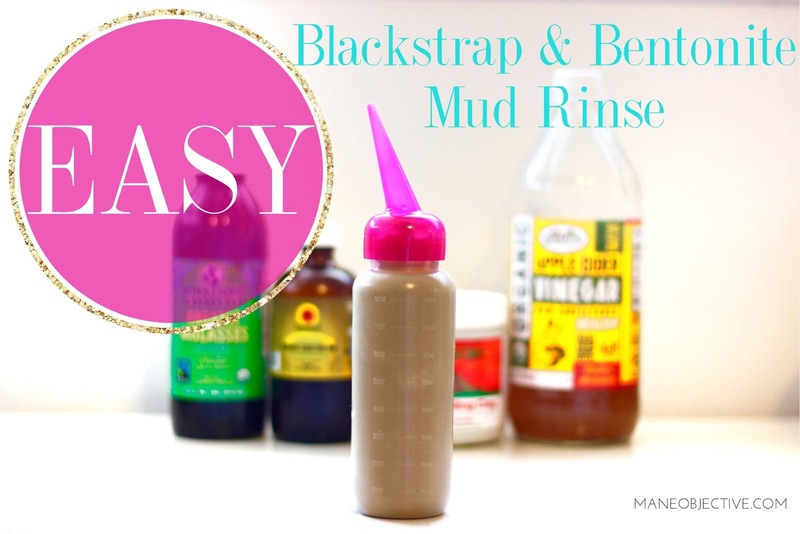 Blackstrap & Bentonite Mud Rinse? DING! DING! DING! DING! Enjoy! Let me know in the comments below if you decide to give it a whirl! Okay Christina, because I'm your superfan, I'm going to try this on my next wash day because I've been wondering what to do with my very large jar of blackstrap molasses. I swear every. single. thing. you've suggested that I've tried has worked for me, I started calling you my hair twin even though I have low porosity 4c hair lol. But when I tried the molasses in my conditioner, it was a huge fail. I thought I'd try it again and use less, but using it in a clay rinse sounds like a lovely idea. Can't wait to try it. Do you think this would work with rhassoul clay instead of bentonite clay? Do you use the whole bottle in one mud rinse, or can you store the prepared rinse for a while? I have a 10 lb barrel of blackstrap molasses (also bought for health reasons) and I can't drink all of this. Lol. I'll definitely be incorporating this in my next wash and I'll make sure to buy the bentonite. Thanks! I have incorporated this rinse into almost all of my wash days for the past few months and my hair has never looked better. I don't have the time to experiment with different styles and products and this recipe is so easy and affordable and I achieve the best wash n go results with it. I have to thank you for helping me achieve some serious curl poppage that I didn't even think was possible for my low porosity hair!!!!! !